The February issue of Tabletalk considers honor and the various ways this virtue applies to our churches, families, and communities. The last few decades have seen the concept of honor decline in Western culture, and this has affected our lives significantly. Our failure to honor one another destroys families and friendships, makes work environments hostile, and makes good relations with our neighbors impossible. Moreover, our failure as Christians to show proper honor is particularly egregious, for God commands us to honor one another in our relationships. 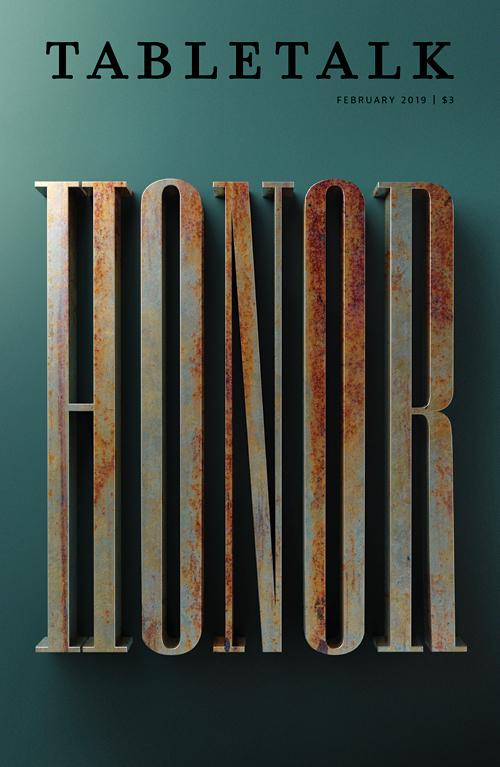 This issue considers the importance of honor, defining this virtue biblically and helping believers understand what it means to live honorable lives. For a limited time, the new TabletalkMagazine.com allows everyone to browse and read the growing library of back issues, including this month's issue. You can also purchase the issue or subscribe to get the print issue every month.